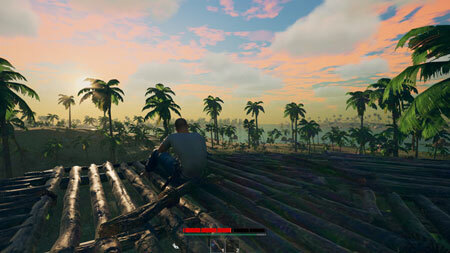 Survisland is a survival sandbox developed by Super Trampers Studio. It is focused on Realism, located in a vast procedural generated world. Taste every bitter and sweet as a lone man lost in wild islands, use your wit and strength to confront every challenge the Nature gives you. The game world of Survisland is infinite, ever-changing and beautiful. The area of an island is usually vast, but you can also find groups of small islands scattered across shallows. We have designed three different biomes in current version: The Shallows, Mangrove Forest and The Swamp. Each has its own unique landscape, vegetation, resources and sub-biomes. You’ll have to alter your strategy to survive in different biomes. Surviving is not only about keeping hungry and thirsty levels at bay, but to keep nutrition in balance, you’ll have to find various foods to achieve this. Once your body is unbalanced, there will be a symptom as corresponding to it. Some symptoms are harmless, only act as a notification, such like Empty Stomach. The game has a unique crafting system. Some items have one or several Crafting Nodes, it indicates different parts of an item that can be crafted. You’ll need to use various Crafting Techniques to process these parts. If you get stuck in the game, check out the video walkthrough and gameplay for the game. This entry was posted in PC Games, Walkthrough and tagged Survisland Cheats, Survisland Game, Survisland Gameplay, Survisland Guide, Survisland Hints, Survisland Review, Survisland Solutions, Survisland Strategy, Survisland Tips, Survisland Walkthrough by Marvin. Bookmark the permalink.